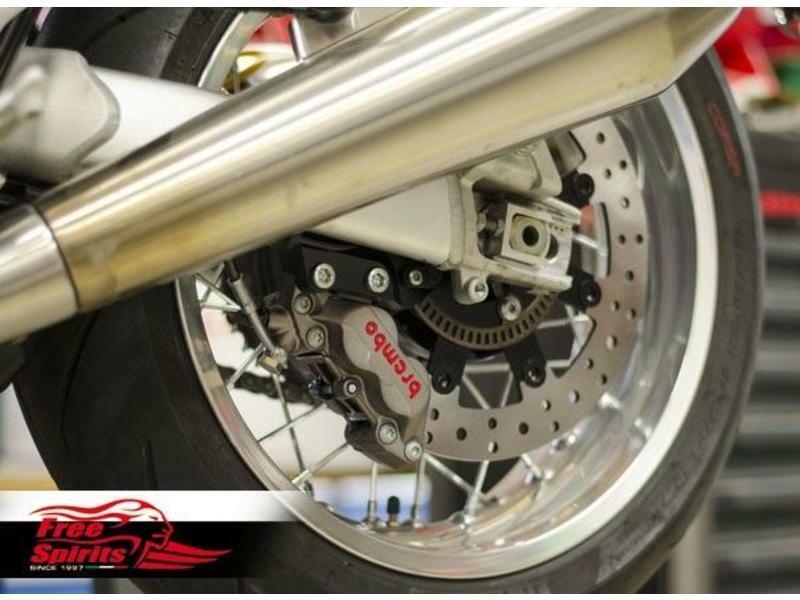 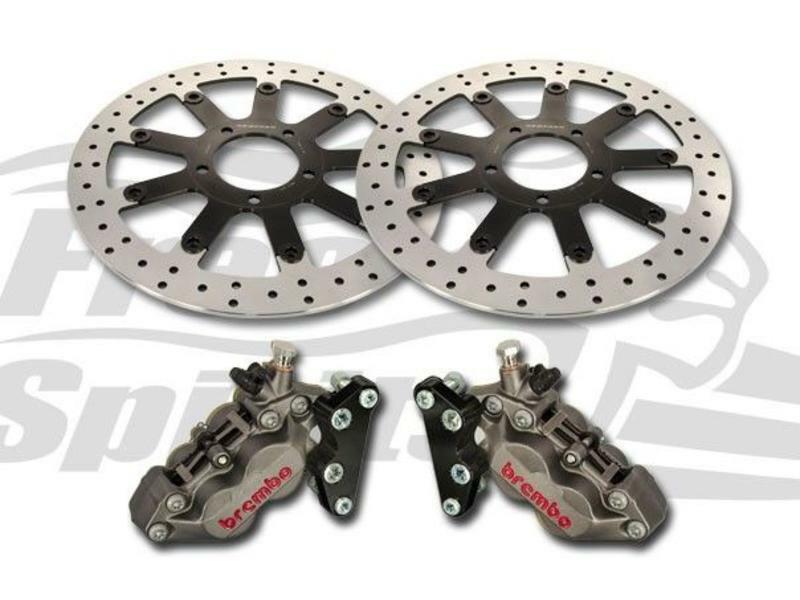 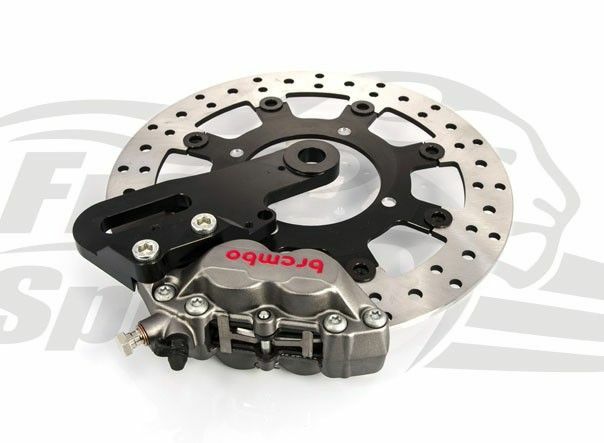 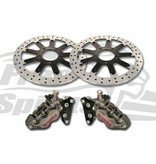 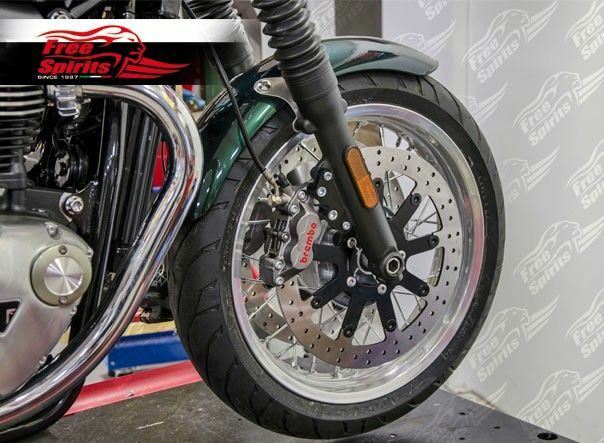 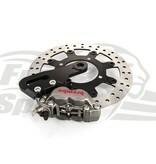 Kits to fit Brembo brake calipers on your Thruxton 1200, to gain in braking power! 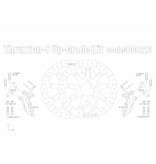 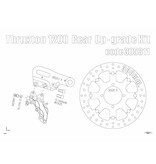 For Triumph Thruxton 1200 standard (2016+). 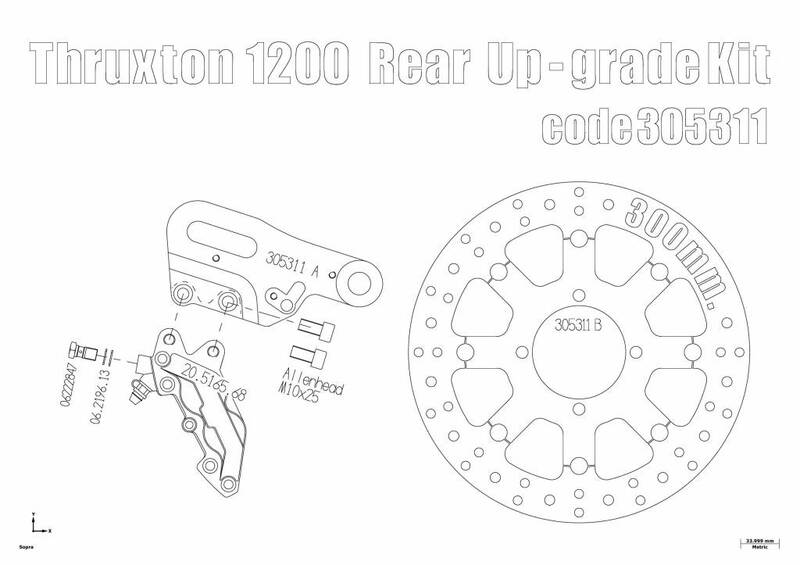 Not suitable for Thruxton R (which has Brembo brakes from the factory !). 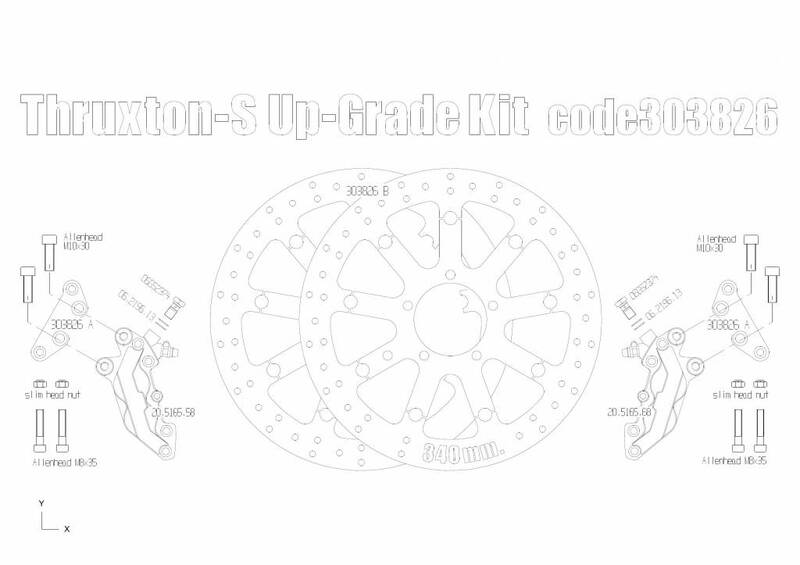 Complete kit to fit larger floating rotors and Brembo calipers on your Thruxton 1200, to replace the original Nissin equipment that lacks power and modularity. The front kit A is available with either a Brembo standard caliper (gold colour with white lettering), or a Brembo "Performance" caliper with titanium pistons (grey colour with red lettering). 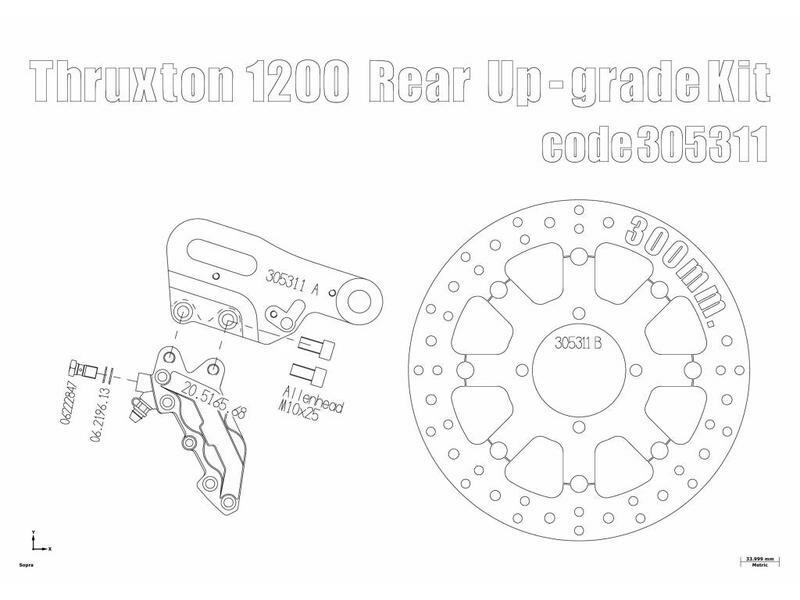 For Triumph Thruxton 1200 standard and R (2016+, both have a rear Nissin caliper from the factory). 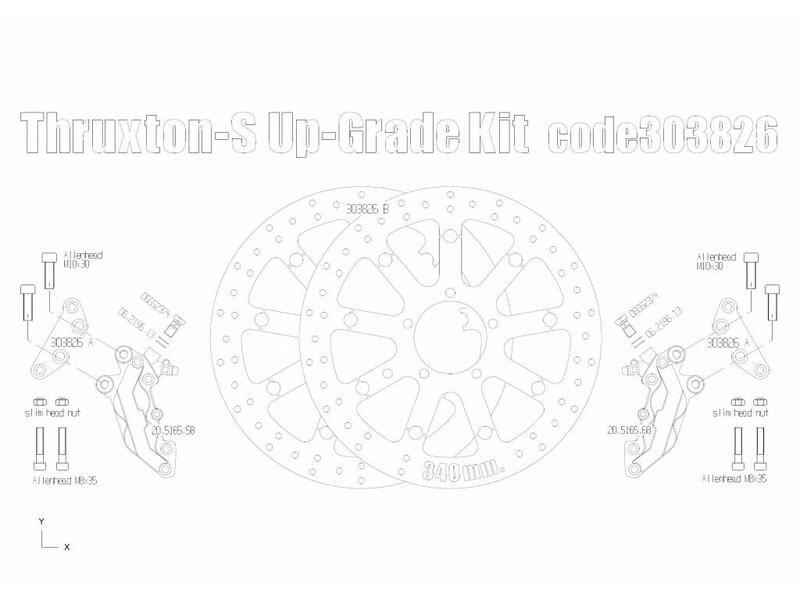 In both cases the kits reuse the original brake hoses.